As you probably already know, Amazon has become one of the largest sales channels for most US sellers. In 2018, they accounted for 49% of all online retail sales and 5% of total retail sales in the US. With their rapid growth, the number of sales options for sellers on Amazon and the complexities surrounding them have increased substantially in the last few years. An experienced third-party logistics partner (3PL) can help you optimize your sales channels if you decide Amazon is the right place for your business. Ultimately working with a 3PL to sell through Amazon will help save you time and money. 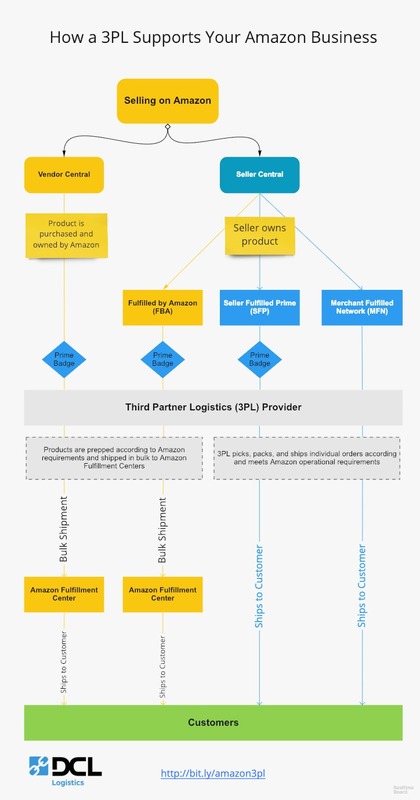 This article will provide you with details on Amazon sellers’ options and how a 3PL can support your Amazon business. What are the options for sellers on Amazon? There are two primary ways to sell your products on Amazon — through Vendor Central and Seller Central. The fundamental difference between the two is who owns and sells your product. With Vendor Central, Amazon buys the product from the seller and resells it to Amazon customers. This is considered first party sales (1P). On the flip side, with Seller Central, the seller owns the product and is responsible for selling it on the Amazon marketplace. This is called 3rd party sales (3P). Similar to other retailers (Target, Walmart, etc), with Vendor Central Amazon buys the sellers’ product and sells it themselves. This is common for high volume, brand name products. Amazon has a dedicated merchandising team that identifies products that they want to buy, negotiates with the sellers, and orders are shipped to an Amazon fulfillment center. Products are sold and shipped in bulk to Amazon by the seller. In this scenario, Amazon owns the products outright and are responsible for marketing, storing, selling, and fulfilling the product. Amazon Seller Central is a marketplace for sellers and merchants to market and sell their products directly to Amazon customers. The seller owns the inventory, sets their own price, and is responsible for all aspects of the sales process. Fulfillment by Amazon — FBA is a service where the seller pays Amazon to store and fulfill the their products that are being sold on Amazon. The seller retains ownership of the product and is responsible for marketing their products on and off Amazon. 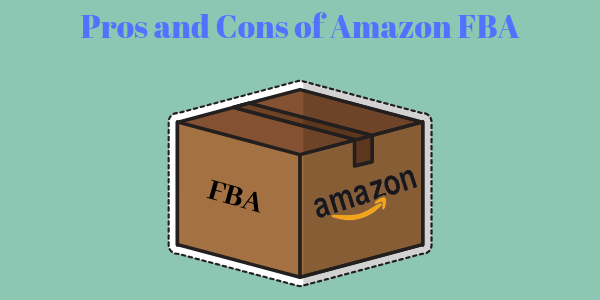 FBA sellers benefit from getting the Prime badge, giving them access to the 100 million prime subscribers and increasing their chances of “winning” the Amazon Buy Box. Seller Fulfilled Prime — SFP is a program where the seller stores and manages the products that they are selling on Amazon while still maintaining the Prime badge. The seller needs to meet and maintain strict operational requirements, including order accuracy and shipping and delivery times, to qualify for the program. Also, the seller is responsible for all costs related to storage, fulfillment, and shipping. Merchant Fulfilled Network — Similar to SFP, sellers participating in the MFN program store and fulfill the products they sell on Amazon. The biggest difference is that MFN sellers do not get the Prime badge, so they are a less attractive option for Prime subscribers and have a lower chance of winning the Amazon Buy Box. Often times, a seller starts selling their product with the Seller Central program and if they demonstrate there is customer demand for their product, Amazon will ask them to participate in the Vendor Central program. Some sellers see this as “graduating” from from Seller Central because they can now sell their product in bulk to Amazon. However, many customers opt to stay in the Seller Central program as they prefer to be in control of their own inventory, pricing, and marketing. In some cases, customers who qualify will sell in both models, Seller and Vendor Central, in order to evaluate their sales and margin mix. You can learn more about how to choose between vendor central and seller central and the pros and cons of each. 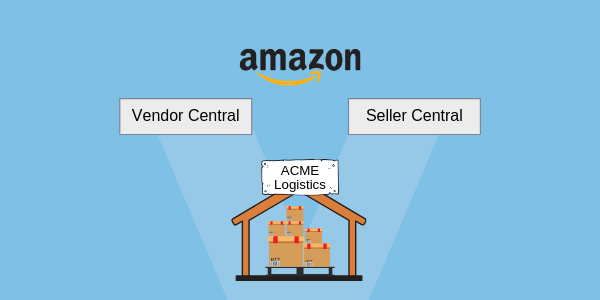 While Vendor Central and Seller Central are completely different Amazon services, sellers can benefit from using a 3PL to support either of them. An experienced 3PL can provide the expertise, operational infrastructure, and necessary Amazon qualifications to help you efficiently manage your inventory so you can get your products to your customers faster and more cost efficiently. As Amazon is a buyer of your product in this scenario, they operate similar to other large retailers. They buy in bulk, get wholesale rates, and set their own retail price. Operationally, they follow the same protocol (albeit with their own custom setup) as other retailers, establishing purchases and management of those purchases through a retailer EDI connection. Learn more about EDI connections in our recent post. A 3PL allows you to centralize, stage, and distribute all your inventory to the various retailers, including Amazon. Like other retailers, Amazon has specific requirements for the sellers when buying and receiving their products. A good 3pl partner will know those rigid requirements because if they are not followed closely, they can be punitive monetarily (chargebacks). In addition, a 3PL will setup and maintain your EDI integration, providing you with a holistic view and control of your retail partners. Managing multiple EDI integrations is no easy task and requires a certain level of experience and technical expertise. By consolidating your inventory under one roof, you will have more flexibility with your inventory—both who it’s sent to and how it gets there. This is ideal for high growth sellers whose business needs fluctuate often.A 3PL can help absorb the effort needed to keep inventory levels flexible which is critical to success. FBA, SFP, and MFN each have their own set of logistical challenges and requirements. In some cases, sellers use a combination of the three adding to the existing complexity and increasing your chances of running into issues. A 3PL can service all three options, alleviating the headaches and reducing your costs. While you may wonder why a seller would use a 3PL with Amazon FBA, it can be very beneficial to do so. First, Amazon has very strict requirements when receiving products from a seller. From the product UPC code to how those products are packaged to the bulk shipping requirements. All these variables add up and a 3PL can take your inventory directly from the manufacturer and prepare it for Amazon bulk delivery. Second, products that are not prepared according to Amazon’s requirements are subject to monetary penalties called chargebacks. The different types of chargebacks include, but aren’t limited to: lack of proper product preparation, missing designated delivery windows, not sending the properly advanced shipping notification (ASN), or submitting the incorrect purchase order information. Chargebacks can result in a predefined flat fee penalty or a percent of your gross sales on Amazon. An experienced 3PL can help minimize or eliminate these chargebacks. Lastly, Amazon has monthly storage fees which change on a frequent basis. While these fees may seem insignificant when dealing with a few items, they add up quickly when you are dealing in bulk. 3PLs can offer lower storage fees and significant cost savings. Sellers can leverage the 3PL’s lower storage fees by only shipping their products to Amazon when supply is running low to ensure their products aren’t sitting in Amazon’s warehouses for extended periods. While SFP is a great alternative to FBA due to the fact that you get the same Amazon benefits ( Prime badge and access to Prime subscribers) and control of your inventory, it can be difficult to reach and maintain Amazon’s strict performance requirements. An Amazon-qualified 3PL can manage the entire process for you: from setting up the Amazon integration to meeting the performance requirements such as delivery shipping times and order accuracy; they can keep things humming and provide you with peace of mind. A seller will also benefit from a 3PL who has strategically placed fulfillment centers which allows you to distribute your inventory closer to your customers. This will enable faster delivery times and reduce your shipping costs. MFN operates in a similar fashion as SFP, but without the benefits of the Prime badge and access to Prime subscribers. Also, the operational requirements aren’t nearly as strict as the ones required by the SFP program. Sellers are responsible for managing and fulfilling orders from Amazon customers. A 3PL will store the sellers product and manage the entire fulfillment process of picking, packing, and shipping the product to the customer who purchased their product on their Amazon store. The seller retains control of their inventory and customer experience (i.e. branded shipping boxes, inserts, etc.). 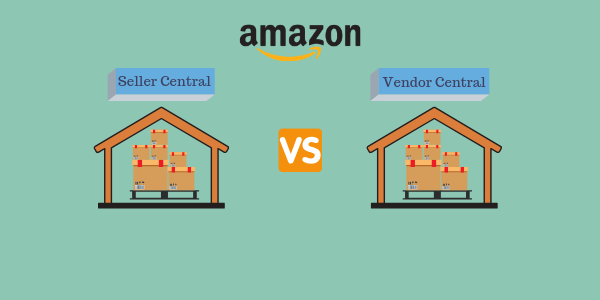 Amazon Seller and Vendor Central have their own set of advantages and disadvantages. Managed properly, either can be a large part of your businesses growth. However, each offers their own set of operational challenges and it’s important that you have an experienced team overseeing the process. An experienced 3PL that has a track record of working with Amazon can alleviate a lot of the challenges, minimize your costs, and keep your customers satisfied. If you are already working with DCL Logistics, contact your representative to inquire if selling on Amazon is the right business choice for you. To learn more, check out DCL Logistics’ Amazon fulfillment services page or please contact us through this form. We look forward to hearing from you!